Gently shake the canister prior to each use. 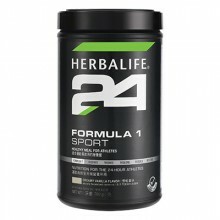 Blend or stir 2 scoops (26g) of Formula 1 Sport with 240ml water or nonfat milk. Create your own Formula 1 Sport recipes by mixing with fresh fruit and ice.